If we can get Cannabis declassified as a dangerous class one drug we will be able to see much more research be done. Adequate and Well-Controlled Studies Proving Medical Efficacy of Cannabis Exist but Are Ignored by Marijuana Schedulers. How Cannabinoids Kill Cancer – Dennis Hill. This is a great blog to inform ourselves and share with others. Very interesting post entitled Jesus & Cannabis. The more I research this topic the more convinced I become that it is a very important tool for our arsenal of healing and preventative medicine. It’s obviously been around a very long time. Very valuable information is contained here. Please read this as it is going to be very important to the future of medicine. In the future, perhaps 20 years from now, cannabis-based medicines will have a prominent place in the worldwide pharmacopeia again. Indeed, we might have even gotten there much faster if it hadn’t been for the draconian interference of the U.S. government. To this day, they are still blocking researchers from accessing cannabis to study. Countless thousands have died suffering and millions more continue to be denied access to plant-based medications that could not only mitigate their misery, but also possibly even cure them. 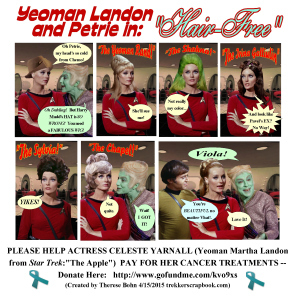 Celeste Yarnall Update — Let’s Make This Happen NOW!! 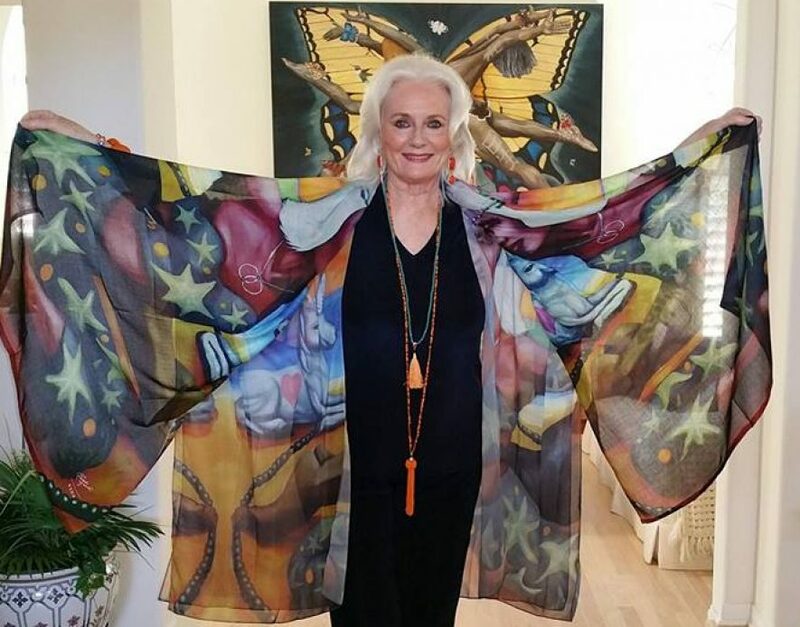 As you may recall from my last update, I issued a challenge to all of you to raise $1,500 for Celeste’s cancer fund, and ifwe achieved this goal we’d get an Exclusive Interview with Celeste here. Alas, so far I’ve only seen one donation (aside from my own) that has the words ‘trekerscrapbook’ on it, and suffice to say. we’re nowhere near the $1500 goal*. But we can change this.